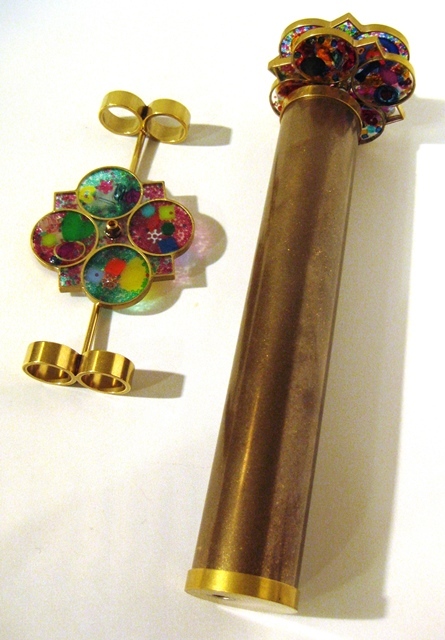 This brass kaleidoscope by Roy Cohen comes with 3 interchangeable shaped wheels (use 2 at a time). 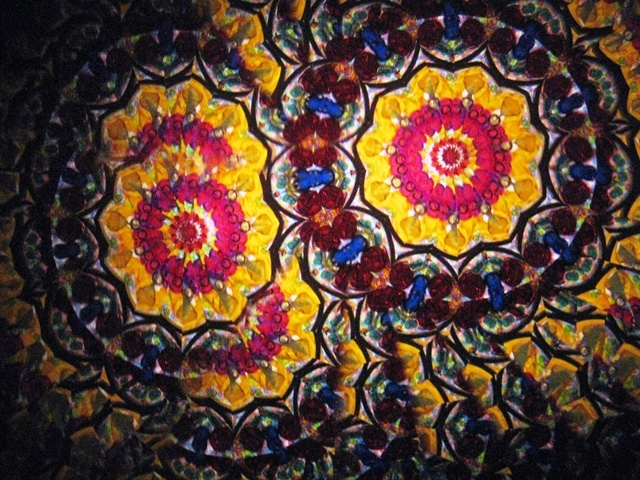 Acute 3 mirror image. 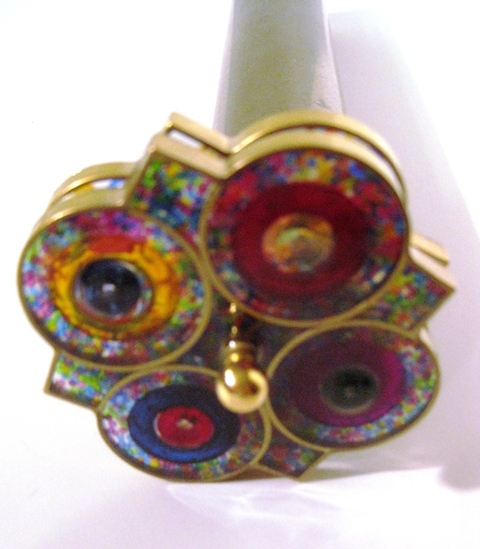 Kaleidoscope is 10" long x 1.5" in diameter. Wheels are 3" in diameter. Extra wheel stores in included stand.